It’s always the small issues that cause the biggest stir. Let’s face it, whether a prisoner should have the right to vote is hardly of great importance. 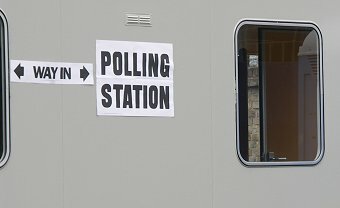 It would cost virtually nothing to install voting booths in prisons, it is doubtful that under our voting system as to whether a few thousand votes here or there will swing a constituency and elections come around as often as a decent England cricket team (present times excepted of course). Mobile polling station: coming to a prison near you soon? Ah, but this is a moral issue with the subsequent sharpening of knives by left, right and centre. Mr Cameron told us he would be ‘physically sickened’ by the thought of a convicted prisoner being allowed to vote. And of course the Express/Mail/Star/Telegraph steam train thundered into the issue to back the PM. Presumably our government and its media house servants are quite content with the heads of our banks voting. Never mind that these greedy spivs have ripped off the country and are getting rewarded for doing so. Come on Mr Cameron, why only pick on prisoners? Why not prevent the list of MPs and Lords who fiddled their expenses from voting? Now that would be ironic – fit enough to represent voters, but not fit to elect themselves. Many years ago I worked in a prison as a probation officer and I can tell you that the experience of incarceration more than satisfies the blood lust of the hang-em-high media mob. The smell, noise, disgusting food and hours of boredom would be ample punishment in any civilised society. But with the likes of Barclays top man Bob Diamond and his bonus bandits humiliating the government for millions more than they have already screwed out of us, while local authorities providing needy services are laying off thousands, this country is far from civilised.